People in Los Angeles are buying plastic sheets and duct tape so that they can seal off a ‘safe room’ in their homes for when the bomb goes off. The intelligence services are warning of an imminent terrorist attack. New hot-lines for information have been opened for people to report suspected al-Qaeda infiltrators. And only one man can stop the city from being blown sky high within the next 24 hours with an estimated two million dead. The first three sentences are true. The last sentence, which refers to the plot line of the second series of 24 which starts tonight on BBC2, is not. But, in an uncanny way, the new plot mirrors the real events unfolding across the United States at this very moment. The construction of a ‘safe room’, complete with canned food and water, as suggested by the Bush administration’s homeland security agency, would, in fact, be about as useful in the event of a nuclear attack as a parasol against a burst of machine-gun fire. But the fact that some people are now conscientiously buying such equipment is an indication of how far the fear of another attack has permeated real life. In fictional life, the new 24, which started airing in the US last October, deals with just such a threat. 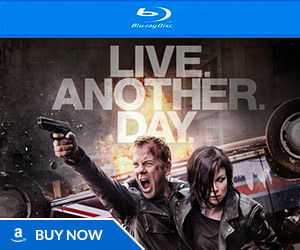 Jack Bauer, the counter-terrorist unit agent played by Kiefer Sutherland, has just 24 hours to thwart a nuclear attack on LA, apparently planned by ruthless Muslim fundamentalists. 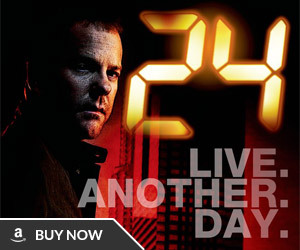 As with the first series, the events of the day are played out in real time in 24 one-hour episodes. Already the series is attracting an audience 21 per cent higher than its successor, which could be because word has spread or because the plot line happens to tap so neatly into the national psyche when every news programme seems to be warning of looming war or terrorist attack. So how much of a challenge was it to do a second series when the unique selling point was no longer original? Not that 24 shies away from killing. The latest series is not short on violence, whether real or threatened. But was there not concern about having yet another Muslim extremist as a bad guy? Without giving the plot away, it is fair to say that the question of whether or not torture of suspects and of their families is permissible crops up. This is a delicate issue in the US currently. When lawyer Alan Dershowitz floated the idea last year of having judicial warrants for torture issued in rare cases to prevent loss of life, a national debate erupted. While the official position is that American agents do not use torture, the unofficial view is rather different. 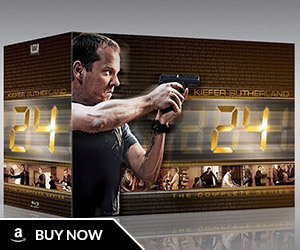 The new series has taken advice from from the secret service and the CIA, said Williams, although the counter-terrorist unit in 24 is fictional; it is merely implied that Jack Bauer is a CIA man. 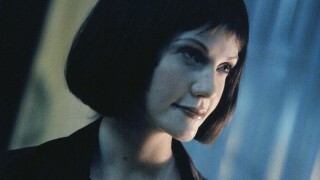 For the first series, two alternative endings were shot, with Bauer’s wife being murdered in one and surviving in the other. The first was eventually the one chosen. ‘The real world is not always smiley face at the end of the day,’ says Williams. ‘That’s just the way that it goes.’ But there are no alternatives planned this time, he said. There are other changes, too, with the second series starting at 8am, not the midnight of its predecessor. And the presidential candidate of the first series, David Palmer, played by Dennis Haysbert, is now President which would make him the country’s first black leader. On a local note, Los Angeles, of course, is the obvious candidate for being blown up. ‘No other city seems to excite such dark rapture,’ wrote Mike Davis in his book, Ecology of Fear. ‘The destruction of London – the metropolis most persecuted in fiction between 1885 and 1940 – was imagined as a horrifying spectacle, equivalent to the death of western civilisation itself. The obliteration of Los Angeles is often depicted as, or at least secretly experienced as, a victory for civilisation.’ Davis noted in his book that LA has already been blown up in a nuclear explosion in fiction 49 times. Will it soon be 50?